Action Alert: Call Senate GOP Leaders Now! Stop Them From Caving on DHS Funding! Throughout the election cycle Republicans vowed to do everything they could to stop the President's overreach. Now, the Republicans in the Senate under Majority Leader McConnell's guidance are playing games. Bowing to President Obama, Sen. McConnell now plans to bring a bill to the Senate floor that would fully fund the Department of Homeland Security without defunding executive amnesty! McConnell is now offering a stand-alone anti-amnesty bill, but the current plan is to vote on it after they pass the DHS funding. This means the vote will be meaningless because it will not be attached to something that must pass Congress and be signed by the president. Please call Sen. McConnell, the Senate Republican Leadership & Ohio Senator Rob Portman to let them know that you want Congress to defund executive amnesty. Remind them of their oath to support and defend the Constitution and urge them to vote on one bill that funds the Department of Homeland Security, while stripping funds from President Obama's unilateral amnesty. Tell them that the Senate must vote to defund President Obama's amnesty before they vote on a clean DHS appropriations bill. Millions Spent Illegally on Obama Amnesty Plan; So Who is Going to Prison? Some bureaucrats could end up in prison for implementing President Obama’s amnesty plan for illegal aliens. Even if they don’t violate the brand-new court injunction, they are accountable under a special federal statute. It’s illegal to spend federal money on purposes never approved by Congress. Yet Mr. Obama has bureaucrats going full-speed ahead to create the mechanism that would process amnesty for millions, even while a court injunction requires that actual processing cannot yet begin. Preparations are proceeding “full-throttle,” according to Judicial Watch, which works to make government accountable. The group has uncovered details about some of the tens of millions of dollars already being spent to launch Mr. Obama’s amnesty plan and called for a full investigation. Billions more in tax dollars are also on the line. However, there is personal risk for all who do Mr. Obama’s bidding rather than obey the laws that govern federal payments. Each person who violates what’s called the Anti-Deficiency Act (31 U.S. Code Sec. 1341) could be fined $5,000, sent to prison for two years, lose their job, or all of these. That law makes no exceptions for those who claim they merely obeyed orders from superiors, including the president. Mr. Obama did not personally sign an executive order to put his amnesty plan in place. Although Mr. Obama claims credit and blame, the orders technically come from a Cabinet secretary. Orders then are carried out by subordinate agency heads plus a small army of bureaucrats who process the paperwork and get checks issued. Those payments are already happening despite being spent on a program not authorized by law. Congress has never approved spending money for this purpose. While Mr. Obama avoided a personal signature on the incriminating paperwork, a multitude of clerical workers don’t have that luxury. They are risking their jobs and freedom. So is Homeland Security Secretary Jeh Johnson, who issued the formal instructions to do Mr. Obama’s bidding. Carrying out illegal orders is no excuse under federal law. Because there evidently is no statute of limitations on the Anti-Deficiency Act, therefore a new president and attorney-general in 2017 could pursue criminal charges as well as firings or job disciplines against all persons who approve payments on the amnesty program. And these fall guys would likely have to pay their own legal fees. Federal Judge Andrew Hanen last week enjoined the government from launching the amnesty program. Judge Hanen’s order did not dispute Mr. Obama’s authority to avoid deportations by applying prosecutorial discretion. But the judge pointed out that Mr. Obama was creating new law by going farther, namely by issuing certifications of “lawful presence” plus work permits. Even if the executive branch had legal power to create new programs — which the judge’s order questioned — Judge Hanen ruled that it still would require months of prior public notice and comments about the details, as required by the Administrative Procedures Act. Plus, the IRS is ready to respond to Obama’s actions by unleashing billions in federal cash payments directly to those receiving executive amnesty. The amount actually spent so far is a secret closely-guarded by the Obama team, as are projections of future expenses. A group of Republican senators on Jan. 22 sent a formal request to find out the full costs. Sen. Jeff Sessions, Alabama Republican; Sen. Chuck Grassley, Iowa Republican; and Sen. Ron Johnson, Wisconsin Republican, wrote the Citizenship and Immigration Services to ask for a detailed accounting. The eventual answers may reveal that a lot of federal workers are in trouble for going along with Obama’s secret and unauthorized plan. Sen. Ted Cruz, Texas Republican, has labeled it illegal for money to be spent on Obama’s amnesty program. Training materials for federal workers are chock-full of warnings about not violating the Anti-Deficiency Act. For example, materials from the General Services Administration warns never to initiate any purchases or contracts without obtaining approvals that include “written assurance from responsible fiscal authority,” plus checking with their legal department and budget officers. The White House claims that the massive expenses of amnesty processing will be covered by fees charged to applicants, but that fails the laugh test because: 1) expenses are already massive, but zero fees have been collected to date; 2) there have been no calculations released to match expenses with fees; and 3) the Constitution forbids spending any money unless it first is approved by Congress. Mr. Obama’s disregard for the law seemingly has no limits. His publicly-stated goal is to use his last two years to determine the shape of America for the next ten years. Changing the composition of America is just part of his strategy. Smirking, Mr. Obama considers himself immune from consequences. But he can only usurp power with the assistance of others within the bureaucracy. If those now spending millions of our money without authority are punished eventually, they may finally realize that their proper loyalty is to obey the laws of our land instead of a blind loyalty to President Obama. While we continue to fight for local control of education, the federal government looks to eliminate it. The No Child Left Behind law created a culture of extreme testing and oppressive federal intervention on students, teachers and school administrators. Next week the House will vote to reauthorize No Child Left Behind (H.R. 5 Student Success Act), thereby extending this outdated education policy through 2021 and it MUST BE STOPPED! From NCLB came Race to the Top, and from RTTT came the Common Core State Standards Initiative. If HR 5 passes, the federal government will own education! HR 5 will transform all schools into government run schools, just like Europe. This will be accomplished through the use of NATIONALIZED TESTS and CURRICULUMS and Title I money. Call your Representative and tell him/her to vote "NO" on HR 5! Tell them we want to SUNSET NCLB and defund the Dept of Education. We do not want this failed program to continue. The vote is expected nextTuesday, so ACT NOW! 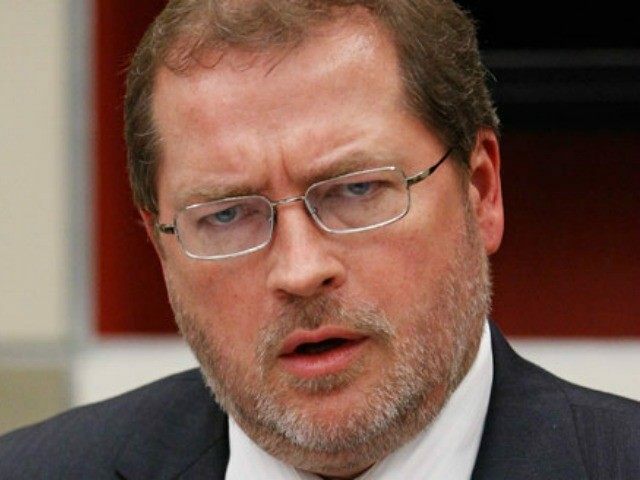 Grover Norquist stars in a pro-immigration ad that a George Soros-funded pro-amnesty group is running this weekend at Daytona International Speedway during the Daytona 500. The National Immigration Forum ad promotes increased immigration. Ali Noorani, the Executive Director of the National Immigration Forum, said that, “at the end of the day, immigration is about people, not politics. Norquist teamed up with Michael Bloomberg’s pro-amnesty Partnership for a New America group earlier in the week to host a conference call in which top 2016 GOP donors pushed for comprehensive amnesty legislation. The ad will run this weekend on the Daytona 500 Jumbotron twice an hour, 12 hours a day, including during the Great American Race. It will also run at the Indianapolis 500 and the Brickyard 500 races at the Indianapolis Motor Speedway later in the year. While the ad touts the benefits of increased immigration, a recent Gallup poll found that a majority of Americans are dissatisfied with the country’s immigration levels and just seven percent want more immigration at this time. Below is a great article explaining the Health Care Compact (HB 34) introduced in Ohio by State Rep. Wes Retherford & State Rep. Terry Boose. Please contact your State Rep (Click Here) and ask them to support true healthcare freedom in Ohio by supporting HB 34 - the Health Care Compact. If Ohio likes its Obamacare, it can keep its Obamacare – but it won’t have to if a group of state lawmakers have their way. State Rep. Wes Retherford, Hamilton - House District 51, and Rep. Terry Boose, Norwalk – House District 57, have introduced legislation that would give Ohio greater control over federal health care programs. It’s called the Health Care Compact, and it would allow Columbus to regulate health care and provide an alternative to Obamacare. 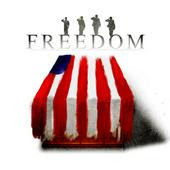 “We’ve begun to see with Obamacare and the Veterans Administration debacles that a centralized health care system run out of Washington is destined to fail. States should be free to come up with the approach that best reflects the needs and wants of its citizens,” Retherford said. “By transferring decision-making authority, responsibility and control of federal health care funding from Washington, D.C. to Columbus, the Health Care Compact gives Ohio the option to choose a different health insurance system than Obamacare, one that actually works to meet our families’ needs. “The Health Care Compact will shield Ohio citizens and businesses from the burdensome regulations of Obamacare, and protect our seniors from the $700 billion dollars that Obamacare cuts from Medicare to pay for Medicaid expansion and insurance subsidies,” he said. The move to give states more say-so over health care policy is gaining momentum. The Health Care Compact has been approved by nine states — Indiana, Missouri, Oklahoma, Alabama, Georgia, South Carolina, Texas, Kansas and Utah. Under the Interstate Health Care Compact, Ohio would receive annual federal funding that must be spent on health care programs within the state. Ohio’s allotment would be calculated from a baseline of 2010 federal health care spending in the state, adjusted for changes in population and inflation. State compacts are governing tools that have been used on a number of occasions to establish agreements between and among states. Mentioned in Article 1, Section 10 of the Constitution, compacts are the constitutional instruments that provide authority and flexibility to the states for administering specific programs. Congressional approval is required for states to enter into a legally binding compact. More than 96 percent of health care is provided and consumed within a state by residents of that state. The Health Care Compact recognizes that since the lions share of health care is locally provided and locally consumed, regulating it at the state level makes more sense than mandating a single set of policies from Washington. Centralized micromanagement of a complex industry serving more than 300 million people won’t work. “Americans are expected to spend $4 trillion on health care this year,” Retherford said. “Letting one group of bureaucrats manage that in Washington makes no sense. Each state is different — different demographics, different insurance companies, different political perspectives — so a single national solution is madness. The Interstate Health Care Compact allows for uniquely tailored, state-based solutions to health care delivery and affordability problems. “A one-size-fits-all health care policy handed down from Washington simply does not work. The Health Care Compact gives states decision-making authority so they can design healthcare programs that meet their unique needs and priorities,” said Shonda Werry, executive director of Competitive Governance Action, the non-profit organization that advocates for interstate compacts. Click Here to visit the Health Care Compact Website. The oil and gas industry won a narrow victory this week over the city of Munroe Falls. The Ohio Supreme Court ruled 4-3 that the city’s local permitting and zoning ordinances are pre-empted by a 2004 state law giving control over drilling to the state Department of Natural Resources. Because Beck Energy Corp. has a state permit, it can proceed to drill on a site in Munroe Falls. In its ruling, the majority effectively blocked local governments from acting as a voice for citizens legitimately concerned about the effects of oil and gas drilling. The new wells being drilled in Ohio represent nothing less than heavy industrial development, well within the boundaries of local control. Horizontally drilled and hydraulically fractured, each new oil and gas well can use millions of gallons of water mixed with sand and toxic chemicals. In stopping Munroe Falls, the court missed an important opportunity to restore a balanced approach to industry oversight. In 2004, the state went too far in seizing control over oil and gas drilling from local governments, the legislature under the influence of the industry’s powerful lobby. That influence continues. The legislature is unable to pass even a modest increase in the state’s severance taxes to fairly compensate citizens for the one-time extraction of resources. In a thoughtful dissent, Justice Judith Lanzinger noted that the 2004 state law did not expressly prohibit local zoning regulations on oil and gas drilling, arguing persuasively that the law leaves room for state and local input. She pointed to several examples in which the legislature set up a regulatory mechanism, then specifically excluded local control through zoning. 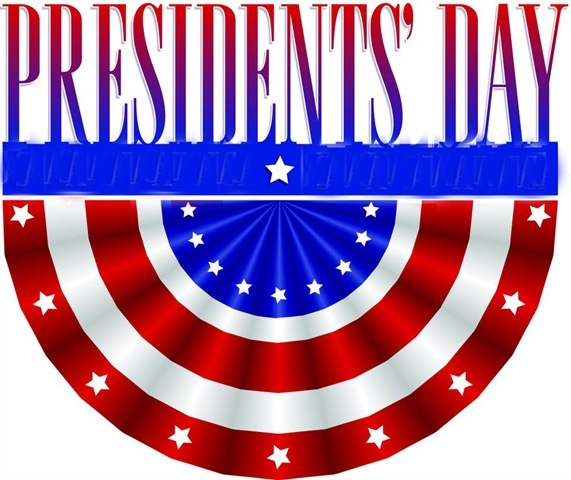 Important to her thinking is preserving the exercise of home rule powers through zoning, local governments acting to reflect citizens’ concerns and protect the general health and welfare of the community. That is in contrast to the state’s role, to deal with the highly technical aspects of drilling. Lanzinger pointed to other states, among them Colorado, Pennsylvania and New York, where the courts have found that state regulations and local zoning can work together. In other words, some local control over drilling does not necessarily conflict with state law. At the Statehouse, the oil and gas industry certainly has gotten its way. It lobbied hard for the Department of Natural Resources to take control of oil and gas drilling. Gov. John Kasich has tried unsuccessfully for four years to gain an increase in severance taxes. Perhaps the ultimate irony is that while Republicans control of all branches of state government in Ohio and often pay homage to local control in principle, many of them are most willing to crush it when it gets in their way. Remember when Obamcare opponents were warning about the havoc the law would surely wreak on our nation’s finances? Well, we’re already starting to see glimpses of that come to fruition. The first quarter of 2015 isn’t even over yet, and overall spending has increased eight percent, thanks to, you guessed it, Obamacare. President Obama brazenly promised nationalized health care would reduce the deficit. Now we can count that as just one more Obamacare lie. As economist Stephen Moore noted in a recent op-ed, health care costs are exploding. The increases account for spending on everything from insurance subsidies to Medicaid. Meanwhile, the government is pushing more and more people to sign up for insurance through the Obamacare exchanges, thereby making even more Americans reliant on taxpayer-funded subsidies. And as if that weren’t enough, those fortunate enough to be on the private market are still facing spikes in their premiums. When is enough enough? Obamacare has neither lowered costs for Americans nor reduced the deficit. But it’s like President Obama expects the country to either keep living in a fantasy world with him, keep giving him the benefit of the doubt, or both. The jig is up, Mr. President. The numbers don’t lie, and Obamacare’s are pretty horrific. The Health Care Compact (HB 34) has been introduced in Ohio and if passed would give the state legislature the ability to take control of health care in our state out from under Obamacare and away from the federal government. To learn more about the Health Care Compact (HCC) click here. 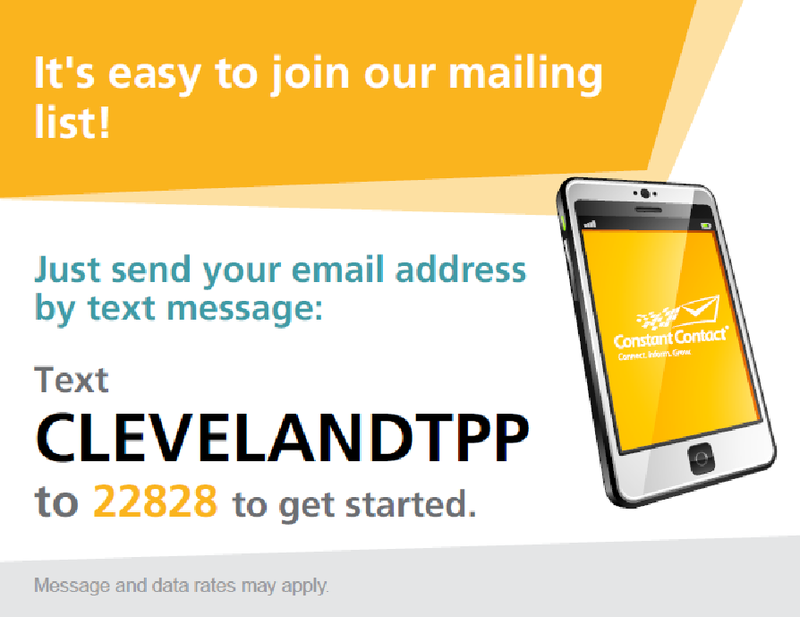 Then contact your OH Rep (Click Here) and ask them to support true healthcare freedom in Ohio by supporting HB 34 - the Health Care Compact in Ohio. Now looking at a run for U.S. Senate, in working with liberal think tank Center for American Progress (CAP), former Ohio Governor Ted Strickland is trying to again become relevant. Just like he did as Ohio Governor to cover the $8 billion hole in his last budget, Strickland is skewing the numbers in attempts to pit Western United States & Appalachian coal miners against each other. Former Ohio Governor Ted Strickland and his colleagues at the Center for American Progress believe the answer for unemployed coal miners is separating more of them from their jobs (“Congress Should Correct Distortions in the Coal Market and Invest in Struggling Coal Communities,” Roll Call, Feb. 11, 2015). Increasing the cost of mining coal and the price of electricity generated from it will no more help stricken coal communities than medieval physicians helped the sick by bleeding them. For some time CAP has been marketing a policy package designed to increase the cost of coal mining in the Western United States. The newest version features a wrapper exploiting the misery thrust upon Appalachian coal miners by government policies long championed by CAP. Seeking to divert blame, CAP claims federal coal leasing policies have created market distortions placing Appalachian coal miners at a competitive disadvantage. This fictional narrative is belied by facts revealing that federal coal leasing policies pose no threat to Appalachian coal miners. Rather, the administration’s job-crushing policies aimed at all coal mining have had an outsized impact on Appalachia. What CAP calls inequities are actually differences in geology and scale. Coal seams in the Powder River Basin are thick and extensive allowing large scale operations with lower mining costs. On the other hand, Powder River coal has lower energy content and travels much further to potential customers. Indeed, the transportation cost for Powder River coal comprises on average 60 percent of the final delivered cost — three times more than Appalachian coal. When it comes to leasing and royalties, once again Powder River coal is at a distinct disadvantage. The 12.5 percent royalty rate set by law is substantially higher — about 40 percent more — than the prevailing rate for private Appalachian coal. And coal companies mining Powder River coal pay substantial upfront and non-recoupable bonus bids for the right to mine, a cost rarely, if ever, faced by Appalachian producers. Royalties are paid on the value of coal measured by the price received from the initial sale — a commercial norm reflected typically in private, state and federal leases. CAP believes that for federal coal this is wrong — they want to inflate the royalty by also including transportation costs. That is like asking taxpayers to pay income tax on their wages plus their commuting costs. A moratorium on new coal mine permits in Appalachia imposed by the Environmental Protection Agency within months of the administration assuming office in 2009. Thousands of jobs were destroyed and many more never created as companies frustrated by years of delay withdrew their applications. EPA power plant emission rules forcing the premature closure of hundreds of coal-fueled power plants with most of them located in states served by Appalachian coal mines. By the EPA’s own calculation, these rules cost of $9 billion annually in exchange for a meager return of $6 million in benefits. The EPA’s pending costly power plan the agency concedes will close hundreds more highly efficient coal-fueled power plants serving as the reliable backbone for delivering low-cost electricity 24/7 to our nation’s businesses and households. The EPA advances this plan in the name of climate change while unable to quantify any climate benefits. Appalachian coal miners, families and communities deserve better than CAP-style policies shifting responsibility for the bad consequences that follow from bad policies. Indeed, all Americans deserve better since whenever a coal miner loses his or her job, all Americans lose something — low-cost, reliable power and, in turn, perhaps their jobs as well. Coal miners recognize real friends and real solutions. They know they won’t find either in politicians and organizations trying to pit coal miners against each other. Hal Quinn is the president and chief executive officer of the National Mining Association. Yesterday, I wrote a piece on Fountas and Pinnell. It was clear that the newly identified below grade level readers were not a result of a sudden reading crisis, but a shifting of F & P cut scores. Rupert Murdoch (who once claimed ed was a $500 billion industry) and happens to own DIBELS, also decided to raise the bar for children. 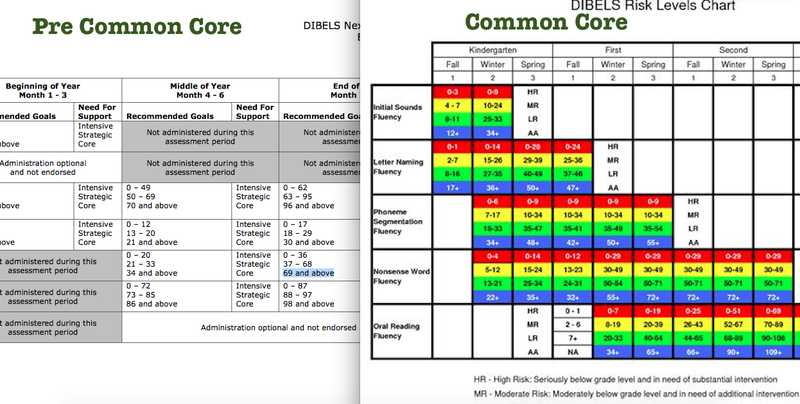 Under the guise of Common Core, the cut scores for DIBELS have been changed. For instance, pre Common Core a 1st grader was expected to read 40-64 words per minute. Under the Common Core, they are now expected to read 69+ words per minute. There is no money to be made in labeling children as successful, but labeling them failures has continued to fuel the perceived crisis in education and increases profits. Currently the Democrats in the U.S. Senate have shown they are willing to put protecting President Obama's Constitutionally questionable Executive Action on immigration over the national security of our country with their continuing to block a funding bill that would allow the Department of Homeland Security to stay open. A federal judge issued a preliminary injunction on Monday that will temporarily prevent the Obama administration from moving forward with its executive actions on immigration while a lawsuit against the president works its way through the courts. The order, by Judge Andrew Hanen of the U.S. District Court in Brownsville, Texas, was an early stumble for the administration in what will likely be a long legal battle over whether President Barack Obama overstepped his constitutional authority with the wide-reaching executive actions on immigration he announced last November. While the injunction does not pronounce Obama's actions illegal, it prevents the administration from implementing them until the court rules on their constitutionality. The federal government is expected to appeal the ruling. The impact of the order will be felt almost immediately: One of Obama's actions is set to take effect on Feb. 18. On that day, the administration was set to begin accepting applications for an expanded version of the Deferred Action for Childhood Arrivals, or DACA, program. DACA allows undocumented immigrants who came to the U.S. as children to stay in the country and work legally. Now, newly eligible immigrants seeking to apply will be unable to do so while the lawsuit is pending. The administration will also be unable to move forward, for now, with a DACA-like program created under Obama's executive actions. That program confers similar relief to undocumented immigrants who are parents of legal permanent residents or of U.S. citizens. Hanen, who was appointed to the court by former President George W. Bush, said in the ruling that the 26 states who brought the suit had standing to do so, and indicated he was sympathetic to their arguments. The lawsuit against the executive actions was filed in December. Texas is leading the effort, joined by Alabama, Arizona, Arkansas, Florida, Georgia, Idaho, Indiana, Kansas, Louisiana, Maine, Michigan, Mississippi, Montana, Nebraska, Nevada, North Carolina, North Dakota, Ohio, Oklahoma, South Carolina, South Dakota, Tennessee, Utah, West Virginia and Wisconsin. According to the suit, Obama's executive actions violate the Constitution, and allowing them to move forward would cause "dramatic and irreparable injuries" to the plaintiff states. "This lawsuit is not about immigration," the complaint reads. "It is about the rule of law, presidential power, and the structural limits of the U.S. Constitution." The White House has said that Obama acted within his authority and that the policies will allow immigration enforcement agents to focus on deporting higher-priority offenders such as convicted criminals, recent border-crossers and those who pose national security threats. Attorney Generals from 12 states and the District of Columbia signed onto an amicus brief in support of Obama's actions, asking the judge not to issue an injunction. "The truth is that the directives will substantially benefit states, will further the public interest, and are well within the President’s broad authority to enforce immigration law," the amicus brief reads. Obama's executive actions are at the center of a congressional impasse over funding the Department of Homeland Security. The dispute could cause an agency shutdown once funding runs out on Feb. 27. Most Republicans say they will only support a DHS funding bill if it includes measures to stop Obama's immigration policies, but those measures are being blocked by Senate Democrats. Even if such a bill were to reach the president's desk, Obama has said he would veto it. The district court ruling was considered a potential game-changer for the funding fight, since some Republicans might be convinced to support a DHS funding bill with no immigration measures if Obama's actions were not moving forward anyway. UPDATE: 8:20 a.m. -- White House Press Secretary Josh Earnest put out a statement early Tuesday defending the executive actions, which he said "are consistent with the laws passed by Congress and decisions of the Supreme Court, as well as five decades of precedent by presidents of both parties who have used their authority to set priorities in enforcing our immigration laws." "The Department of Justice, legal scholars, immigration experts, and the district court in Washington, D.C. have determined that the President’s actions are well within his legal authority," Earnest continued. "Top law enforcement officials, along with state and local leaders across the country, have emphasized that these policies will also benefit the economy and help keep communities safe. The district court’s decision wrongly prevents these lawful, commonsense policies from taking effect and the Department of Justice has indicated that it will appeal that decision." If you've been involved in the Common Core Opt Out Campaign, you are well aware of how crazy it was last week. It started on Saturday with Heidi Huber from Ohioans Against Common Core, coming to Mansfield to give patriots the low down on the rights of parents to refuse the PARCC testing on behalf of their children. Tuesday and Wednesday HB 7, the bill offering Safe Harbor to our children, passed unanimously through committee and the House, and from what I'm being told, it should pass through the Senate quickly also. Then hit the tidal wave of parents opting out and refusing the PARCC testing for their children. There were stories of bullying from administrators, lies, disciplinary threats to teachers, and even a deceptively worded letter from the ODE. It would great if we could get a feel regarding how many people opted out, and hear their stories and successes. Please take a moment to complete this quick survey. Your name and email is not required. Hopefully, this information will give us an idea of how many kids are not participating in the PARCC tests, what districts experienced the most opt outs, and how people were received by administrators. The battle for the future of our children and their education has created heroes and teachable moments. The Heroes are the parents that have showed up at School Board meetings and questioned administrators. The parents who have exercised their right to direct the education of their children by refusing to allow them to participate in the useless and stressful PARCC testing. The parents that refused to back down and have protected their children. From those acts of heroism have come teachable moments. Moments that will teach children that you must be willing to stand for something, even if it means there are repercussions; that peaceful protests and freedom of speech are our rights, and no one can take that away, no matter how much they bully. Kudos to all the hero parents who fought, and continue to fight, for their children. As expected, the media is already fear-mongering with the “government shutdown” threat related to DHS funding. Three times the Senate Democrats have refused to invoke cloture and allow debate on HR 240, the House passed Homeland Security Funding bill. One might call that being obstructionists. So where's the media now? Secondly, a government “shutdown” shuts down only 17% of the government. That 17% is what’s considered to be “non-essential”. If they're non-essential, why are they there to begin with? In the case of DHS, 83% or their employees are classified as “essential” - they still work and still get paid. Doesn't seem so scary now. In just a few weeks, the Supreme Court is scheduled to hear oral arguments in another Obamacare case. This one, King v. Burwell, challenges the legality of subsidies in states that are part of the federal exchange. As the many challenges to Obamacare demonstrate, there is still a great deal of uncertainty about the health care law, its future, and how to implement it. Many states have decided that health care decisions are better left to the states, rather than to Washington bureaucrats or to the Supreme Court’s interpretation. That’s why so many state legislators and activists across the country are turning their attention to the Health Care Compact – governance reform that empowers participating states to design their own health care system. And in Vermont, citizens are gathering co-sponsors and expect the Health Care Compact to be formally introduced in the coming days. If these states pass the Health Care Compact, then Ohio, Montana and Vermont would be the 10th, 11th, and 12th states participating in the Compact – and that’s not counting other states like Michigan that are beginning to consider the legislation. The Health Care Compact is the ONLY proposal out there that takes all health care decision-making authority out of Washington, D.C. and returns it to the states. 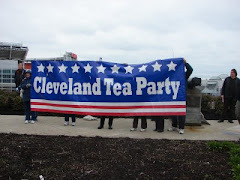 Cleveland Tea Party Patriots can click here to contact their representatives. Due to the urgent need for action to protect Ohio students, HB7 is expected to be on the House schedule for a floor vote tomorrow. Action – Call and turn out! Contact your State Representative and let him know you fully support HB7 and the urgent need for passage. If you are able to attend, let your Representative know so he/she can have you recognized as a guest in the gallery. Please help us make a presence in the viewing gallery. Given the time wasted this year to testing, some parents intend to make a statement and pull their children early from school so they can be there, too. What a positive lesson in civic engagement, all a direct result of their parents’ tireless fight against Common Core. If your schedule prevents you from attending, please pass along to grandparents or others whose schedules would allow. Hope to see you Wednesday! Wednesday, January 29th, HB 7 was filed as an emergency measure by Representative Jim Buchy. If passed, H.B. 7 will provide the same protections from PARCC testing that the Ohio legislature voted to provide to districts, schools and teachers. 1) Prohibits 2014-2015 PARCC scores from being utilized for promotion or retention now, or at any point in a child's education career. 2) Provides option to take the End-of-Course exams (currently PARCC & AIR) at any time within the student's high school career, or opting to never take EOC exams, instead choosing one of the other options to earn their high school diploma; e.g., a remediation free ACT/SAT score, passage of an approved job skills assessment, or earning an Honors diploma. It is extremely important that parents act now to OPT OUT their children from any and all PARCC and AIR assessments. Don't wait to protect your child. Keep in mind, when the legislature deliberated this last year, they voted to protect the adults. Their vote serves as an admission that the major problems with Common Core and the testing were expected. What legislator can justify not extending the same protections to our children? Make sure your House Rep knows you expect his co-sponsorship and support for HB7. Find your Rep's number here and call today. If he/she has already signed on, take the time to say thank you and then call HB7 Sponsor, Rep. Buchy to extend a thank you, as well. Ohio - We would like to applaud Rep. Wes Retherford and Rep. Terry Boose for introducing the Health Care Compact (HB 34) and for remaining steadfast in their commitment to putting Ohio and its citizens in charge of their own Health Care destiny and decisions. The Health Care Compact is the only Constitutional avenue for Ohio citizens to have a voice in their own health care decisions by providing true health care freedom. Passing the Health Care Compact will also give the Ohio legislature the legislative and fiscal freedom to make health care in Ohio truly reflective of the health care needs of our state. With nine other states having already passed the Health Care Compact, thereby putting the health care concerns of their citizens first, we look forward to the Ohio legislature and Governor Kasich duplicating their efforts by making Ohio the tenth state to pass the Health Care Compact. To find out more about the Health Care Compact, please go to www.healthcarecompact.org.